What do you do if someone has recently confessed a desire to kill himself or herself? How do you help in his or her life? What kind of hope can you offer? Does a faith-based approach make a difference? City Church and the Life Counseling Center are hosting this event to discuss how to save someone’s life and offer hope to a family member, friend or someone you counsel who is suicidal. The topic of the evening is something that has likely touched your life either directly or indirectly. Learn what you can do to be prepared to care for someone who expresses that they want to end their life. 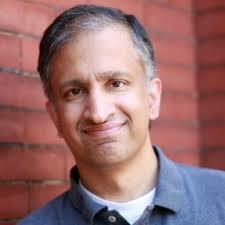 Deepak Reju is a pastor, counselor, husband, father, and author. His passion is for studying God’s Word, loving his family and shepherding God’s people. His day job is as the pastor of biblical counseling and families at Capitol Hill Baptist Church in Washington, DC. His 24-hour, 7-days-a-week privilege is to be Sarah’s husband (since 2001) and father to five adorable children. Deepak did undergraduate studies in biology and psychology at George Washington University (B.S.) in Washington, DC, and then did the first half of his medical training as a doctor (M.D.). The Lord used a very dark year of burn-out and depression to change his direction, and in 1995 he decided to leave medical training behind for pastoral ministry. He went on to do his theological training at The Southern Baptist Theological Seminary (MDiv, PhD) and has worked on staff at Grace Church (Westfield, NJ) and Clifton Baptist Church (Louisville, KY), prior to his arrival in Washington. Deepak is the author of several books and articles, including Great Kings of the Bible: How Jesus is Greater than Saul, David and Solomon(Christian Focus), On Guard: Preventing and Responding to Child Abuse at Church (New Growth Press), and The Pastor and Counseling: The Basics of Shepherding Members In Need (Crossway). His next book, She’s Got the Wrong Guy: Why Smart Women Settle, is due out early 2017. Deepak also serves as the president of the board of directors of the Biblical Counseling Coalition and a trustee of the Christian Counseling and Education Foundation. This event is FREE to attend but registration is requested. Please fill out the registration form by clicking HERE to let us know you will be joining us. If you have any questions, contact the Life Counseling Center at (443) 419-3884. This event will be held in the Baltimore area. See Registration for details.